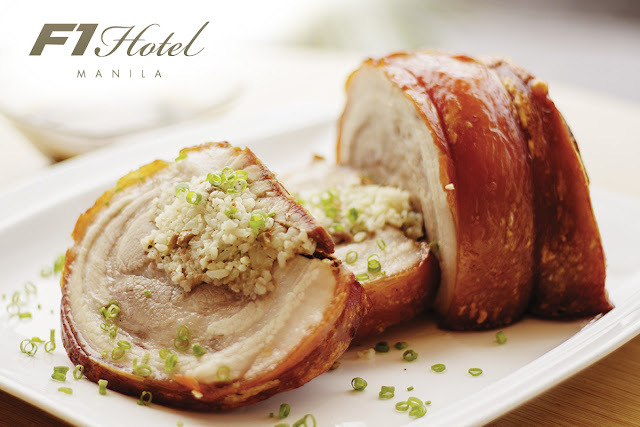 This Yuletide Season, F1 Hotel Manila offers its scrumptious selection of food choices for your holiday feasts. Whether you are at the comfort of your own home or setting a Christmas party at work, the home of happy experiences aims to please the most discriminating palate. Planning for a holiday party at home or at the office is a breeze with hotel’s Platters to Go. 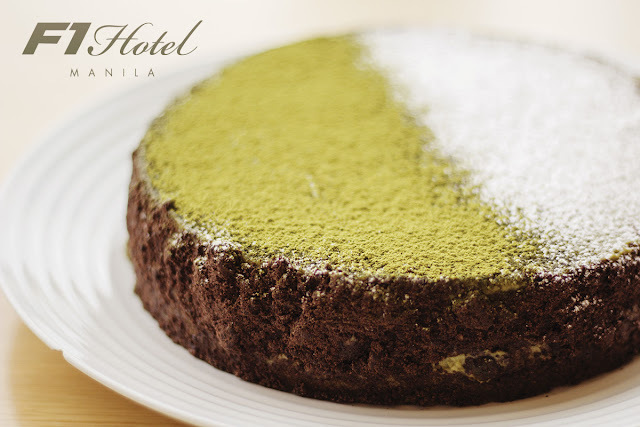 Try the very popular Kare-kare, or the decadent Red Velvet Savarin, or the festive Pesto-crusted Lamb Leg. Each dish is a sure winner made more convenient by the hotel’s delivery service. And if you want full catering services, our banquets team is just a phone call away. What’s Christmas without the yummy desserts set on the table? 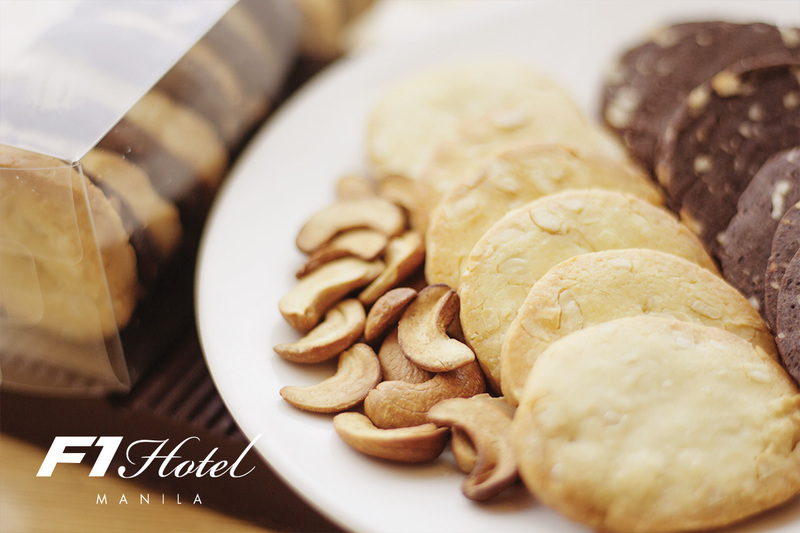 As the F1 Hotel Manila introduces its new pastry chef, let Chef Dante Abalos share with you his memories of Christmas time with some of his decadent creations like the Cashew Nut Cookies and his best-selling Matcha Cheesecake. Buy a few boxes as gifts or stock up on the goodies for unexpected holiday guests. 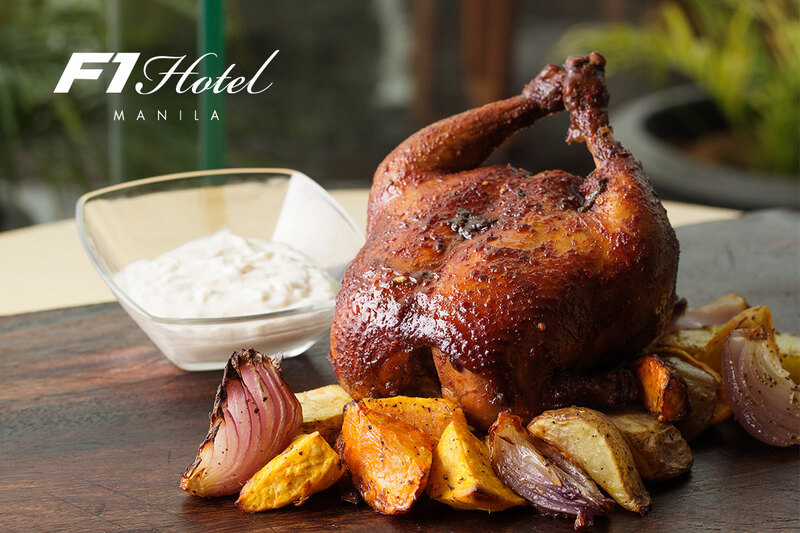 The holiday goodie selection also includes the savories Smoked Chicken; Sugar-crusted Char Siu Pork Belly and the succulent Bagnet stuffed with Truffle Rice. 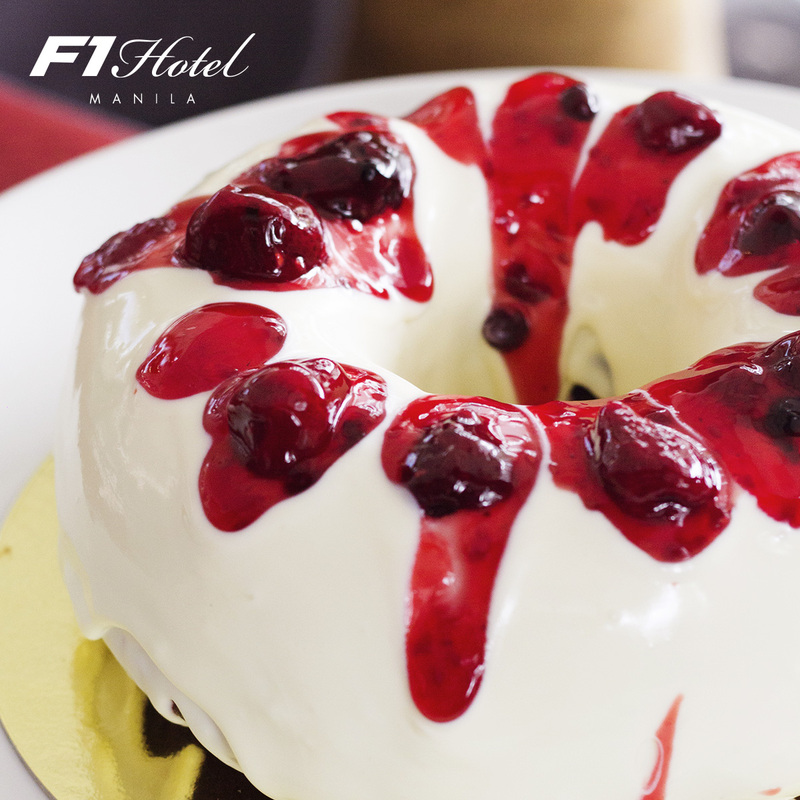 To place an order for the Holiday Goodies, Platters to Go , call F1 Hotel Manila at 907-9888 or 928-9888 ext. 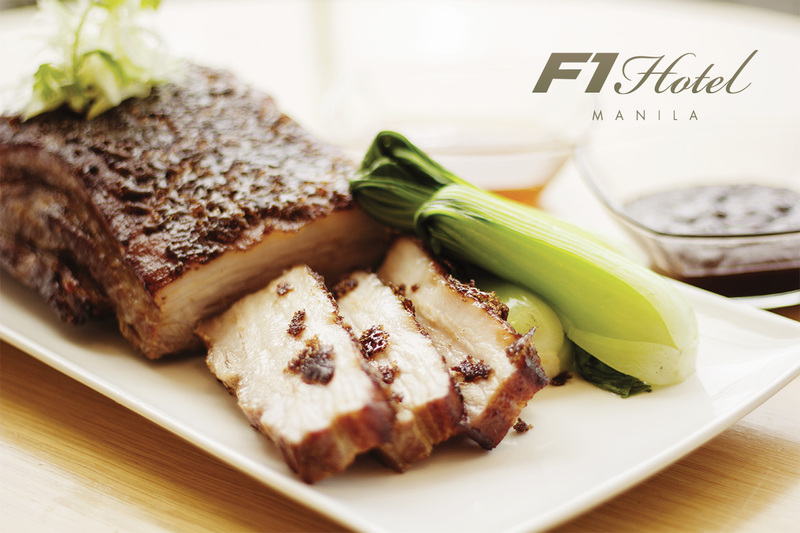 6446 from 9am to 7pm, Mondays to Fridays; or e-mail inquiry@f1hotelsandtresorts.com. Orders must be placed at least one (1) before day of pick-up or delivery and 7 days prior to your event for the catering service.